A helpful directional stencil that reads “Fire Extinguisher” points to the location of your facilities fire suppression equipment. 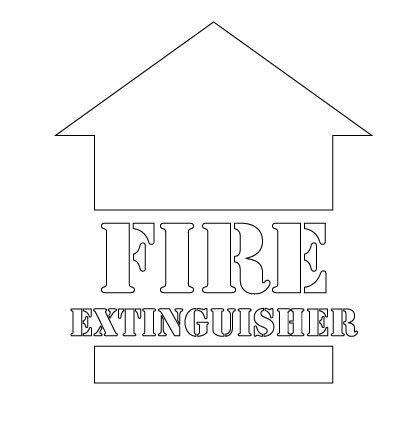 This stencil features a large prominent arrow, designed to help navigate trained personnel to the building’s fire extinguisher in an event of a fire. The stencil material is durable and can be reused repeatedly, great for facilities with multiple fire extinguishers on site.